Even though Daily Billboard likes this quirky billboard for The Defenders, we do wonder if Hollywood's TV Studios are running out of ideas. Not only do we have the remake of Hawaii Five-O to look forward to this season, but The Defenders was an American courtroom drama show in the 1960's and the concept is being dusted off and getting a makeover. 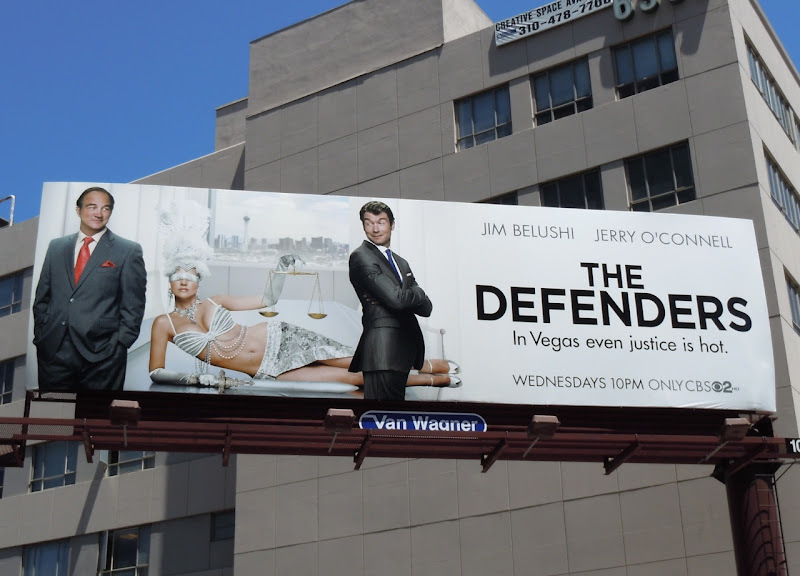 This new version looks like it'll be a bit less socially conscious and more out for laughs, with Jim Belushi and Jerry O'Connell as a pair of Las Vegas defense attorneys. 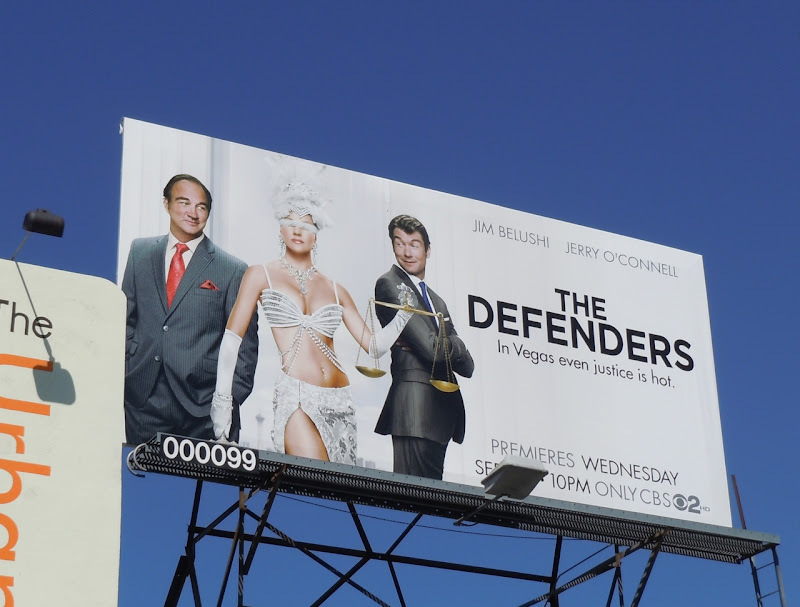 This new TV billboard was photographed along Wilshire Boulevard in Los Angeles on August 12, 2010. UPDATED: Here's another billboard for The Defenders starring model Natalie Cohen, snapped along Beverly Boulevard on August 31, 2011. Wow, thanks for sharing - looks like she's also done other TV billboards for Nip/Tuck too! WoW! I LOVE this billboard! The model is perfect...Doesn't she do Victoria's Secret ads too? If she isn't doing Victoria's Secret ads yet she needs to be! Hot damn!!! the woman is perfection. I love me some Natalie Cohen! Who represents this model? I want to see more of her! Mmm...Maxim. I wanna see this girl in Maxim Magazine. Y'all hear me? Please and thank you.